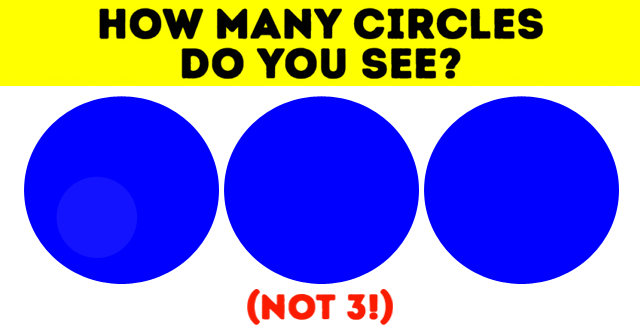 How Many Circles Can You See In This Tricky Eye Test? Can you spot all the circles in this image? Most people can’t! But you might be one of the few. 3 obvious ones, 4 O’s in the words (how, do, you, and not) plus the 2 small circles in (? !) and yet another one is inside the leftmost circle in the image itself — look closer, and you’ll see it! Please share this eye test and challenge your friends and loved ones. 97% Of People Can Find The Horse In This Picture In Less Than 5 Seconds. Can You?